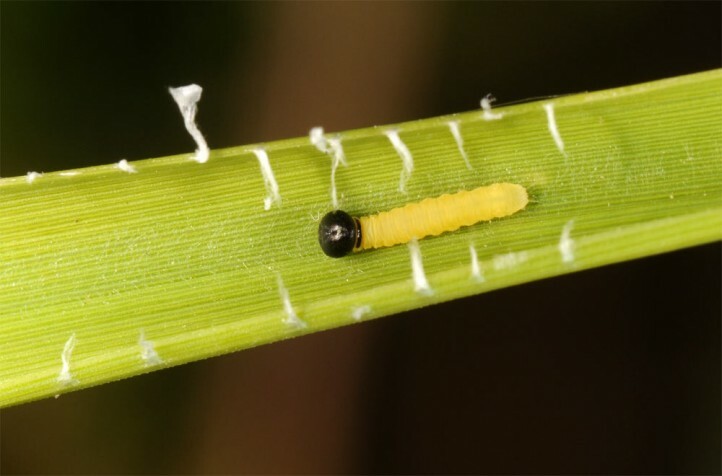 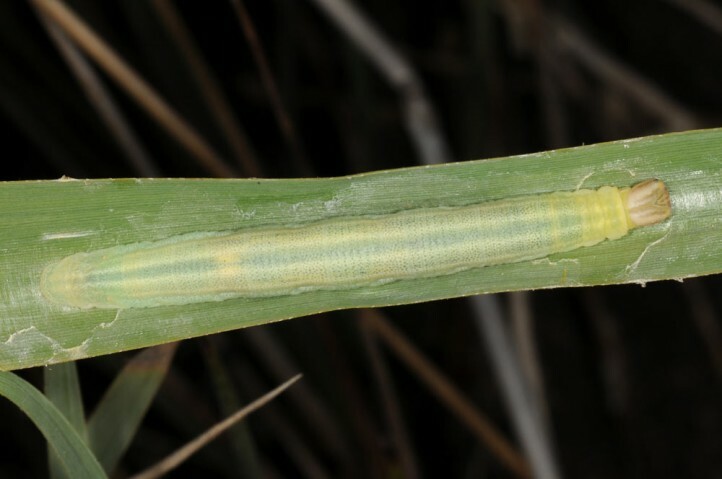 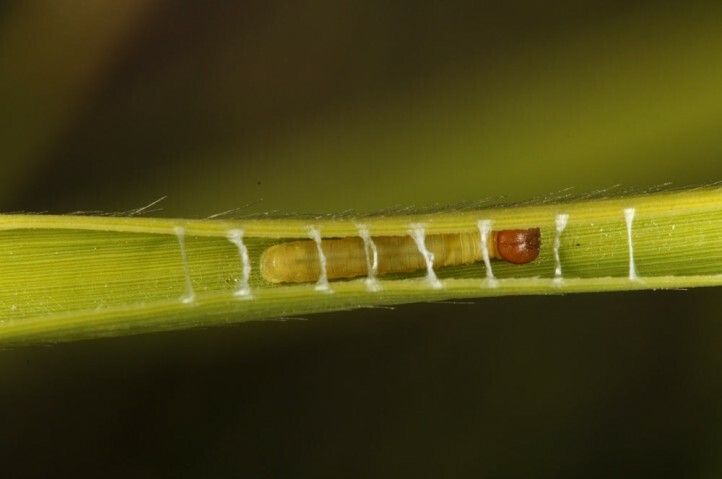 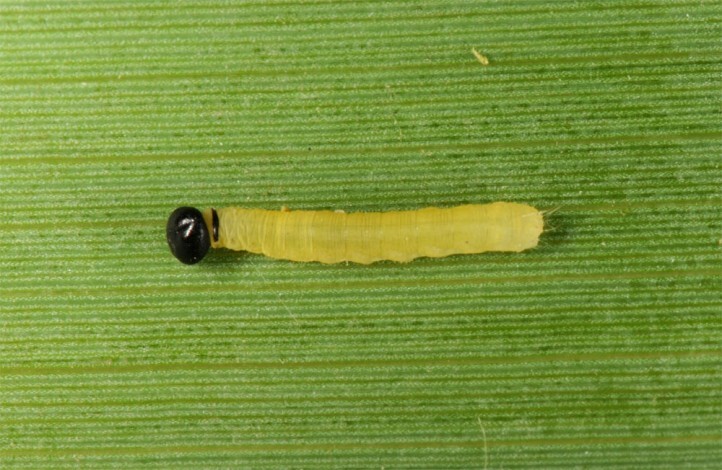 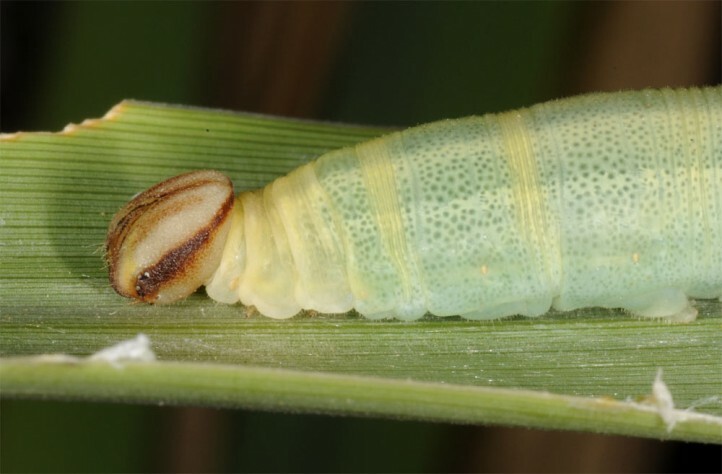 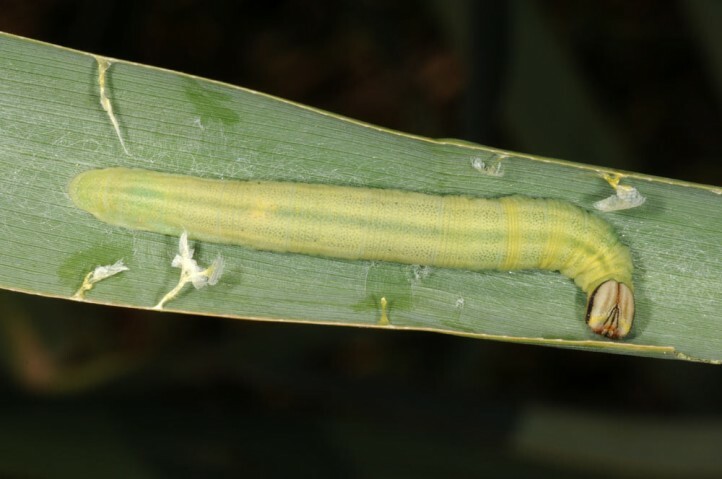 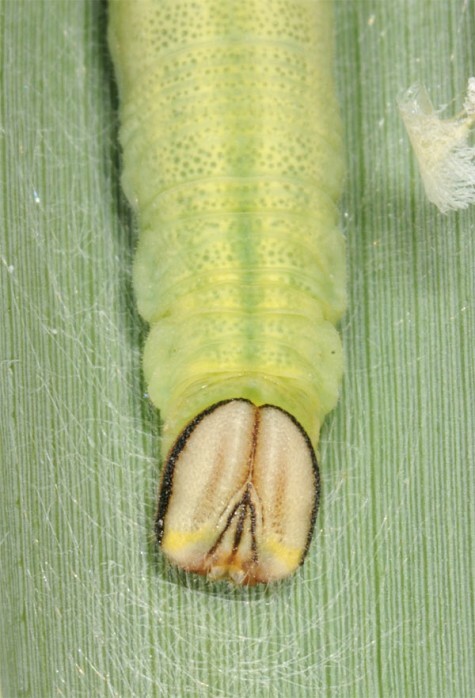 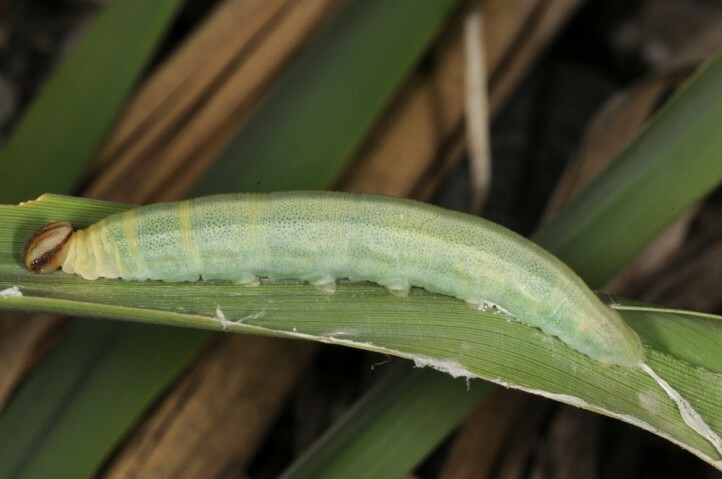 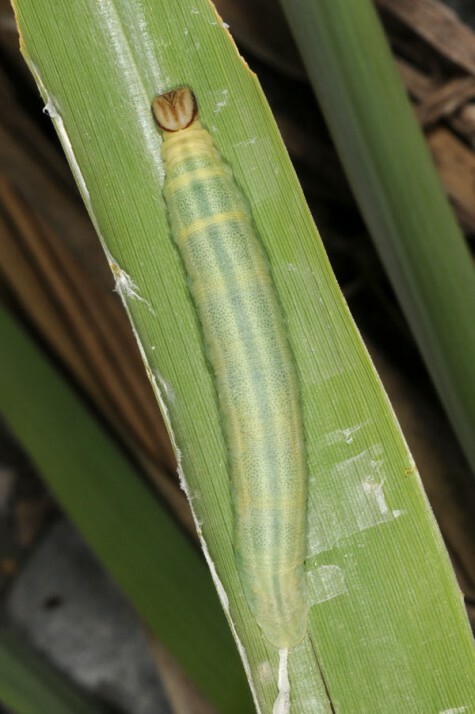 The larva feeds on broad-leaved and robust grasses. 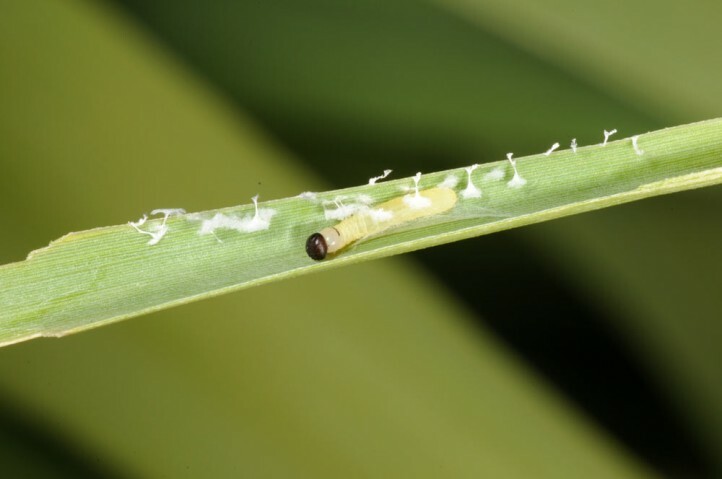 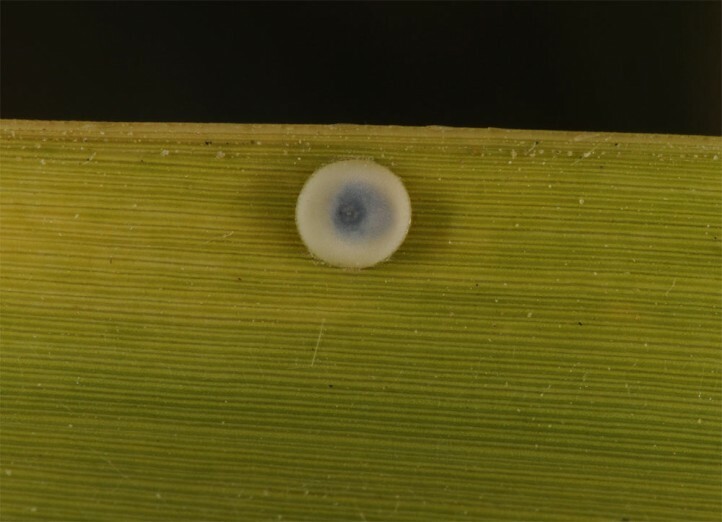 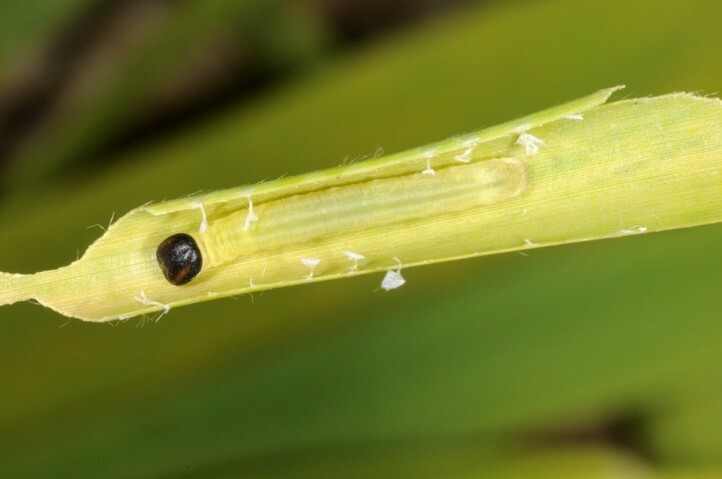 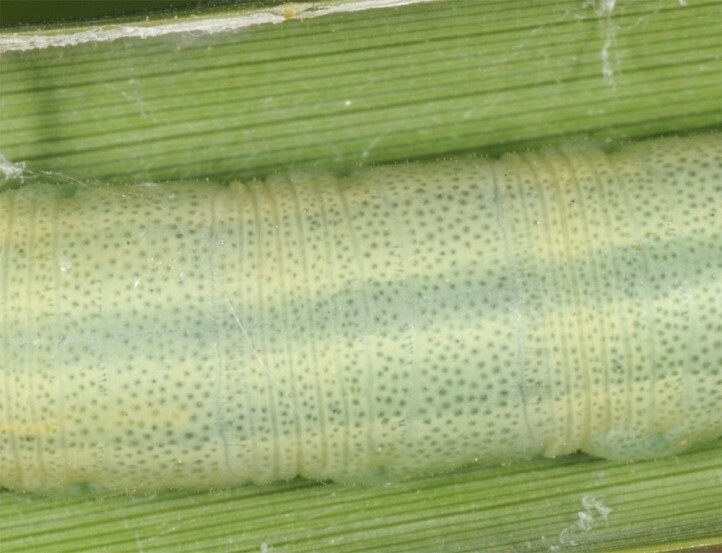 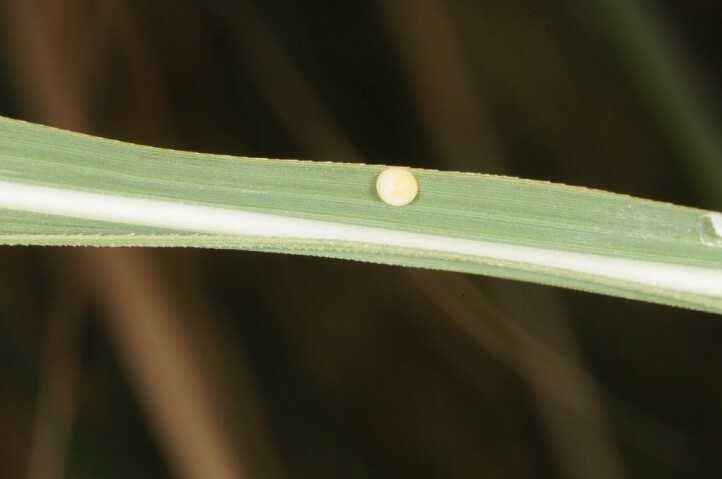 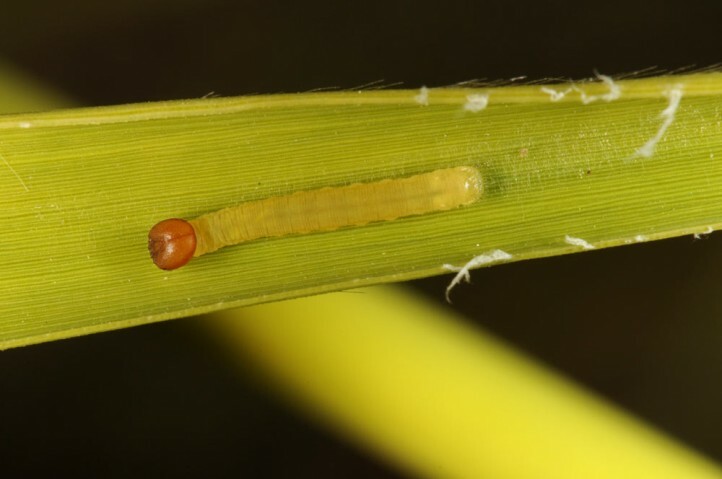 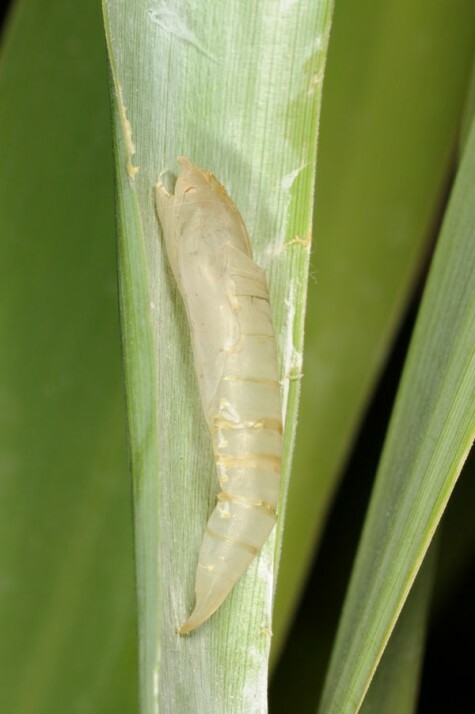 In Rhodes I found eggs, larvae and pupae on Arundo, Phragmites and Tripidium ravennae. 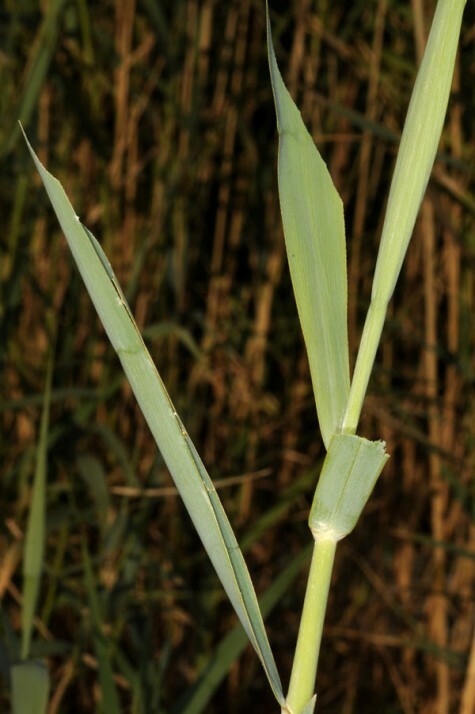 According to literature it is also observed on other Poaceae like Panicum, Oryza or Imperata. 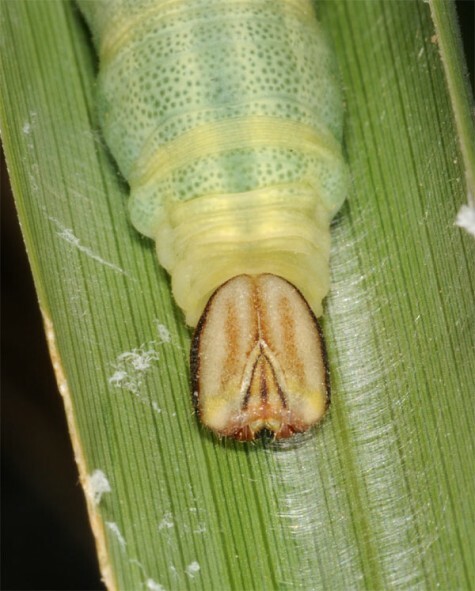 The adults are very mobile and can be observed far outside their larval habitats e.g. 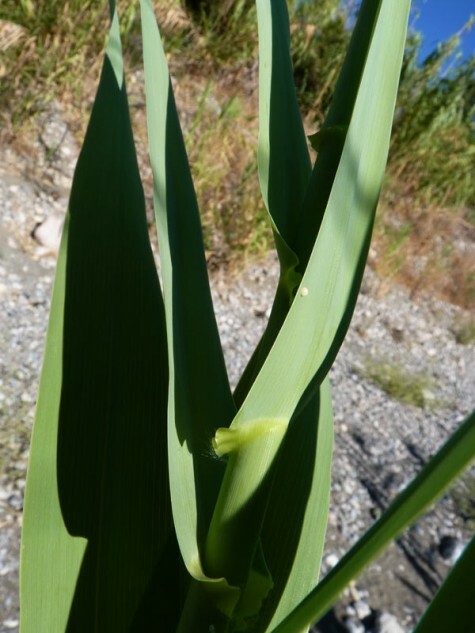 around hotels and in parks. 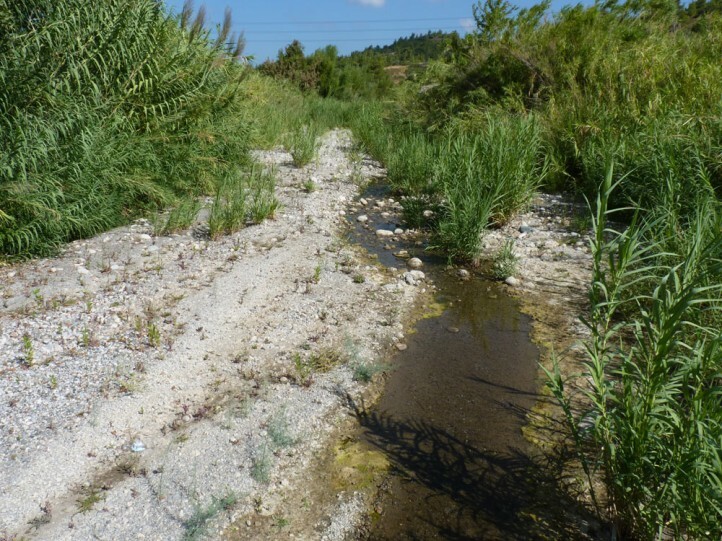 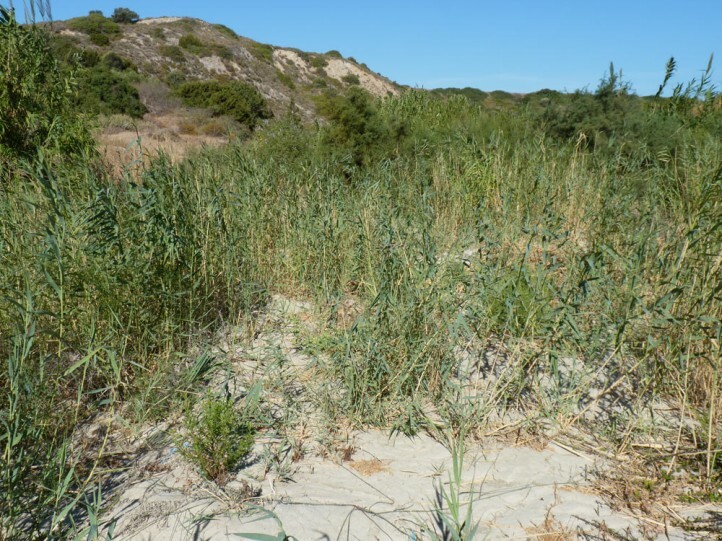 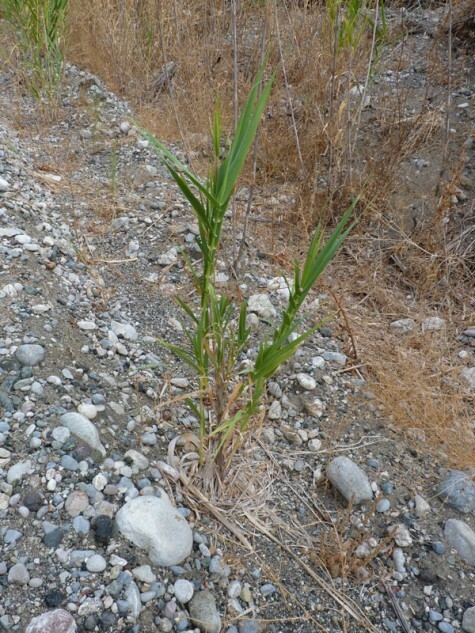 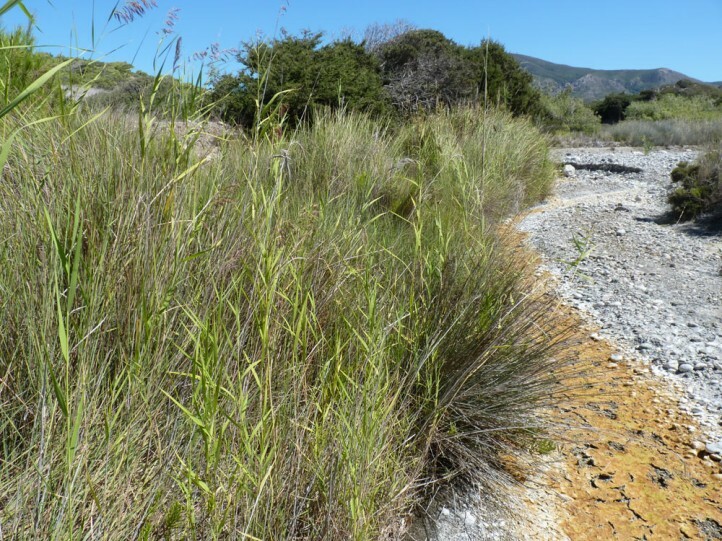 In Rhodes the larval habitats are reeds (Arundo, Phragmites) and places with Tripidium most often in partially dry river beds. 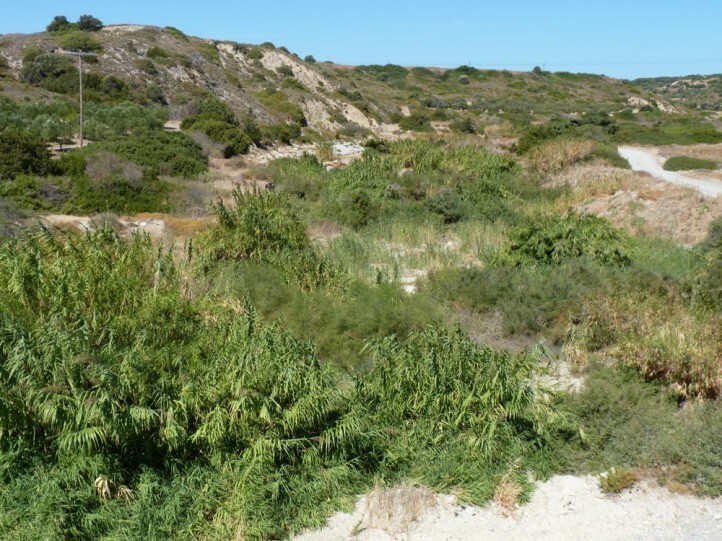 Pelopidas thrax also uses similar habitats for example near the beach or at ponds. 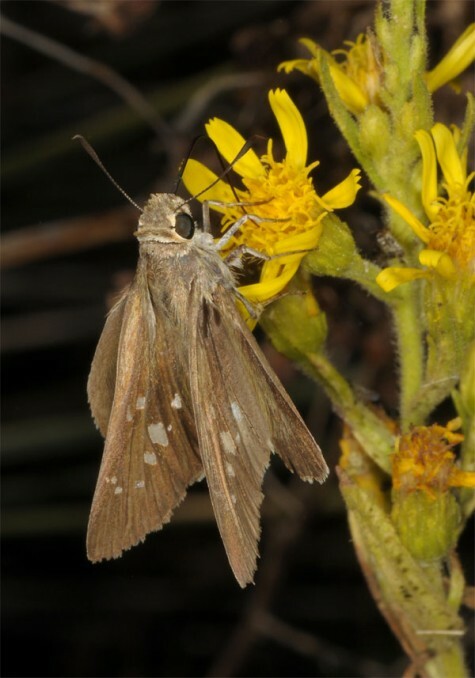 It is often observed near the sea, but sometimes also in the interior, but then also in low altitudes. 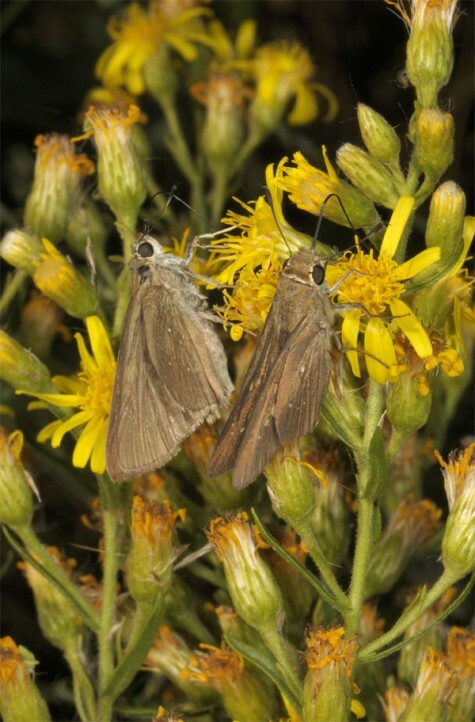 Pelopidas thrax generally occurs in several generations throughout the year and probably lacks a dormancy stage. 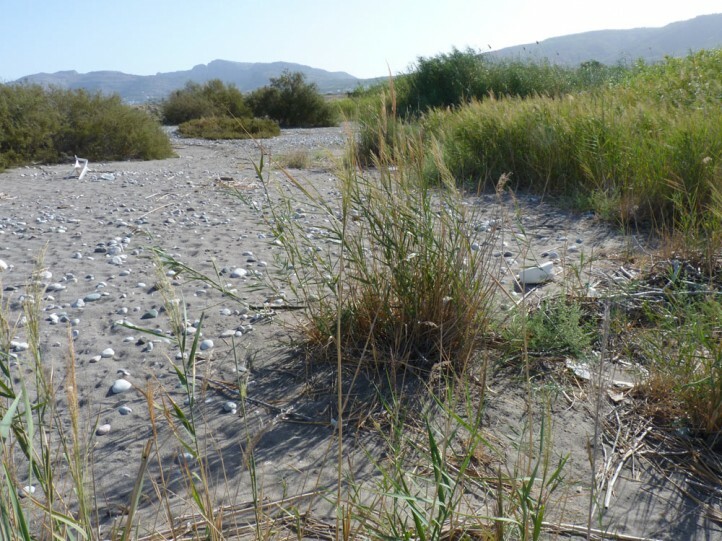 There is supposedly only a decelerated larval development in the southeastern Aegean islands with their open winters at least near the sea. 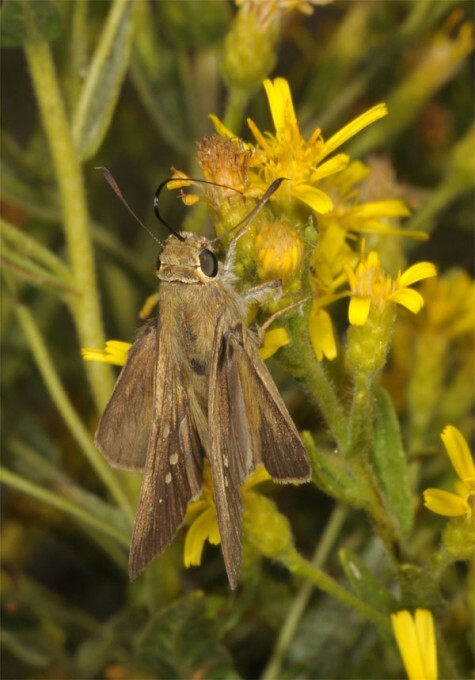 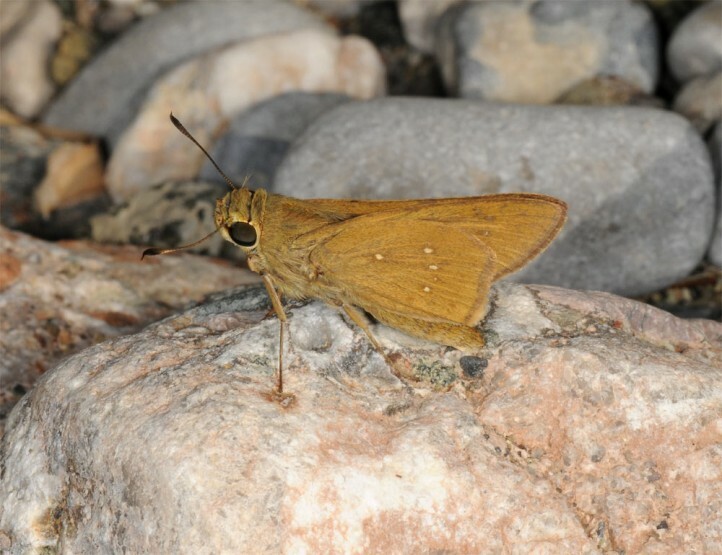 In Rhodes in mid-September 2013 I observed eggs, larvae, pupae and adults. 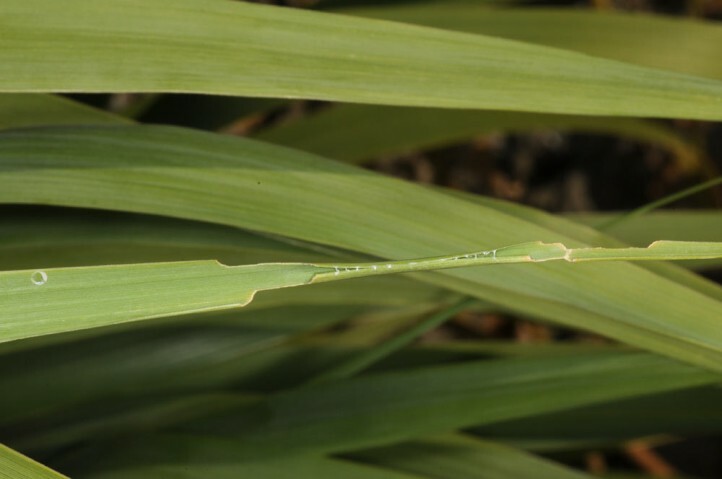 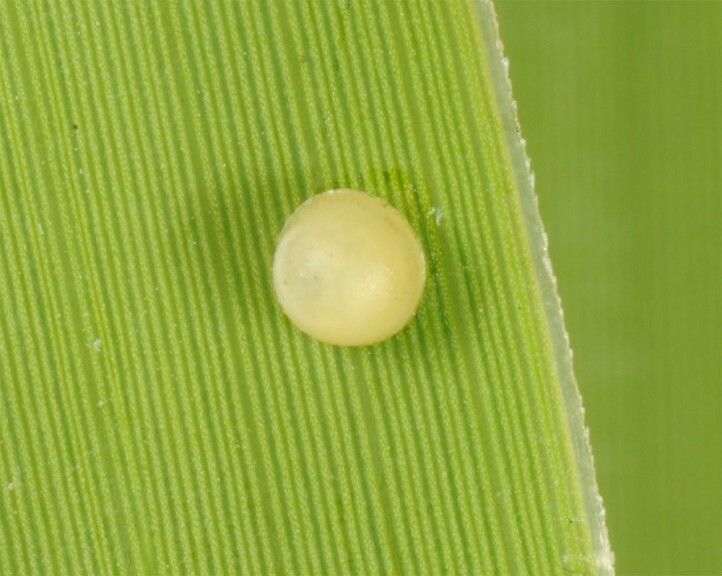 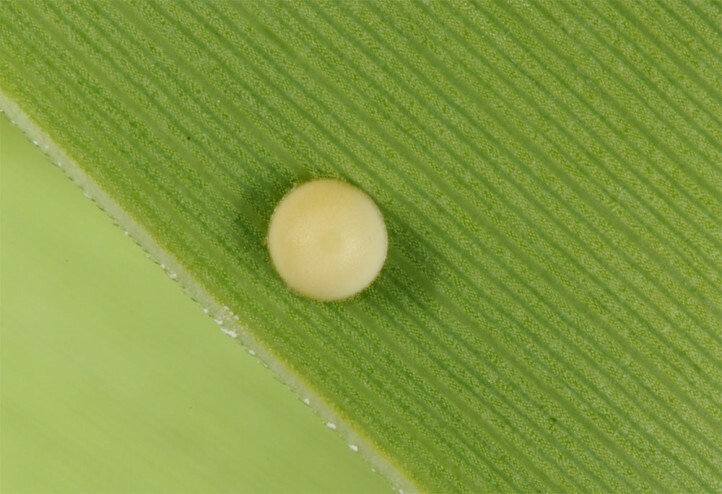 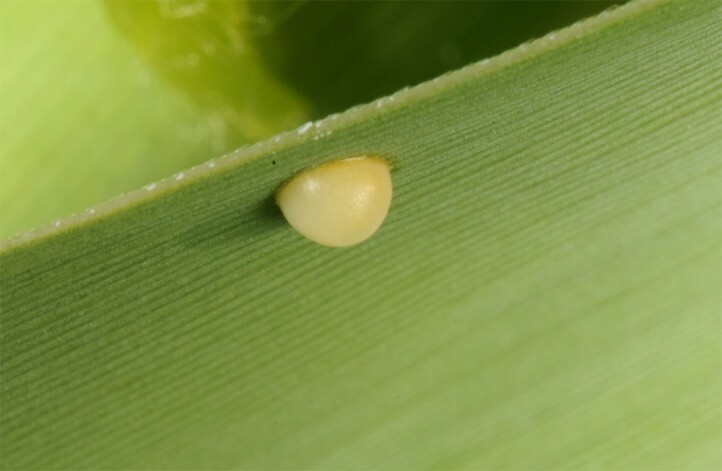 The eggs are deposited most often on the upper leaf surface and only at erect leaves also on the lower side. 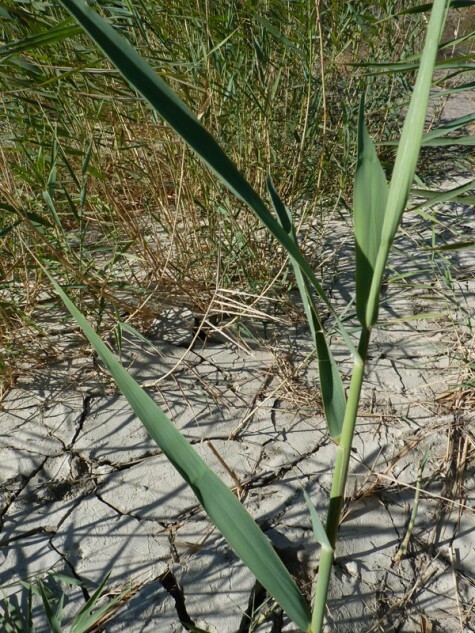 The height differs from just above ground-level in the case of young shoots to several meters e.g. 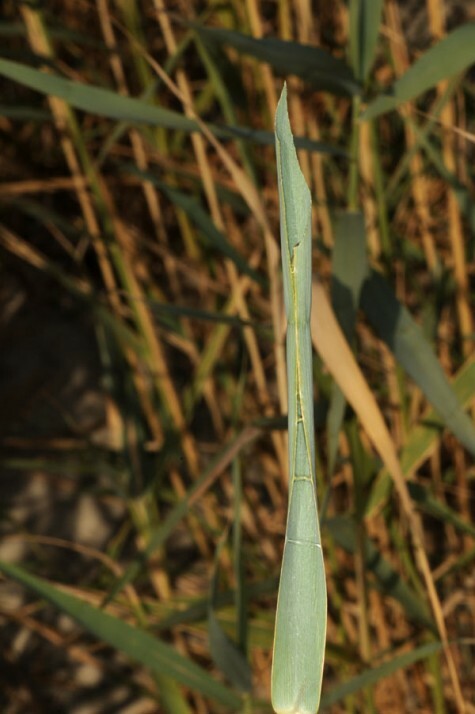 in the case of Arundo (mostly between 30cm and 1 meter) and takes often place at terminal parts of the shoots with their younger leaves. 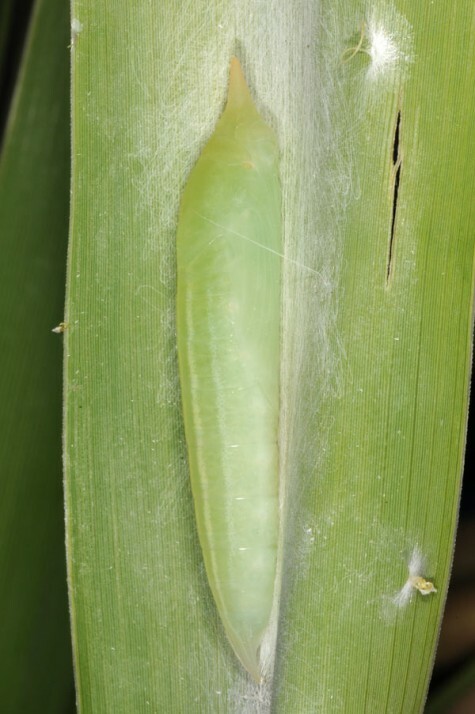 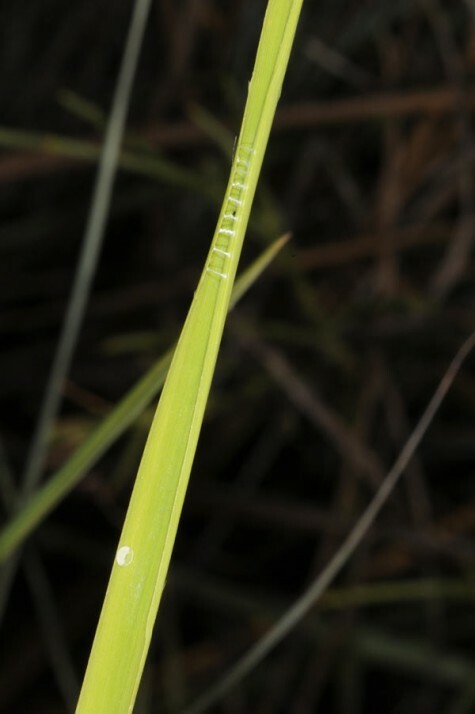 The larvae generally live in tubes where they fold a grass leaf to the upper side with several rough silk ropes. 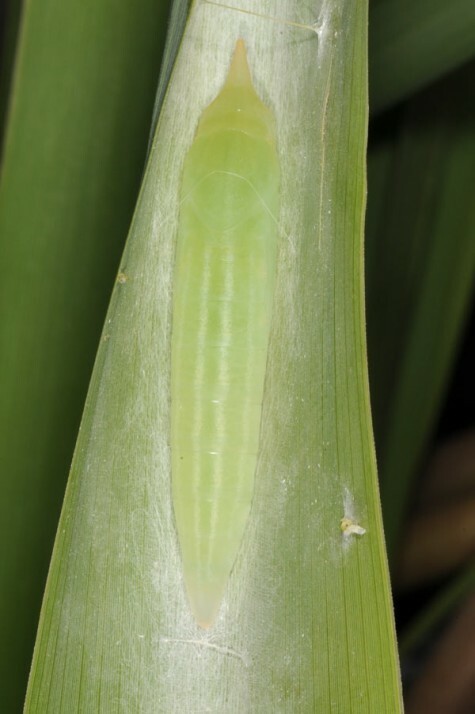 The leaf surface is additionally webbed with a fine seat pad. 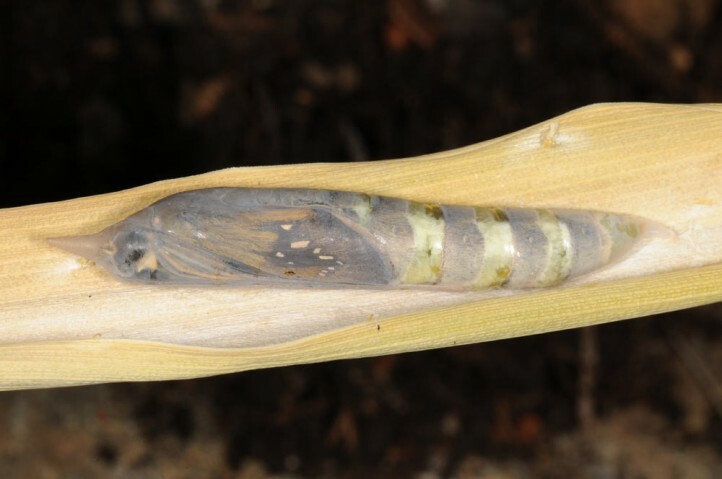 Pupation takes also place in such a tube (often the last feeding tube). 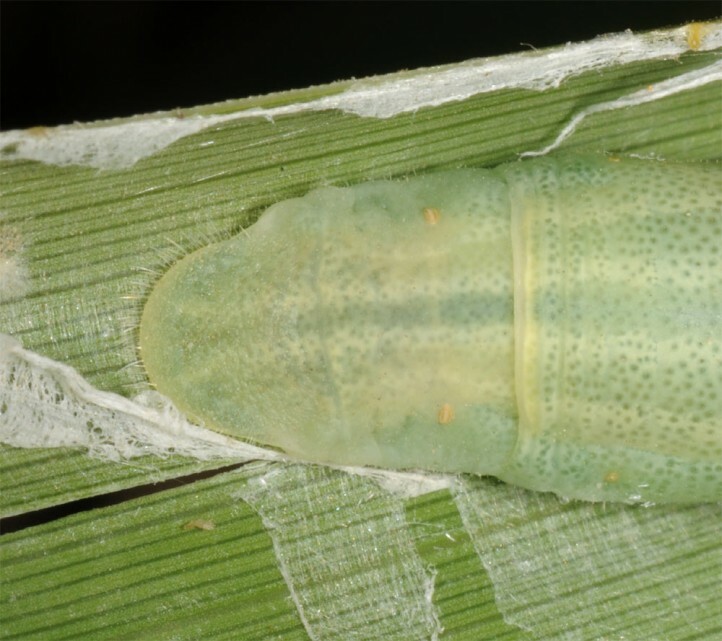 Empty pupal skins are observed often long after emergence. 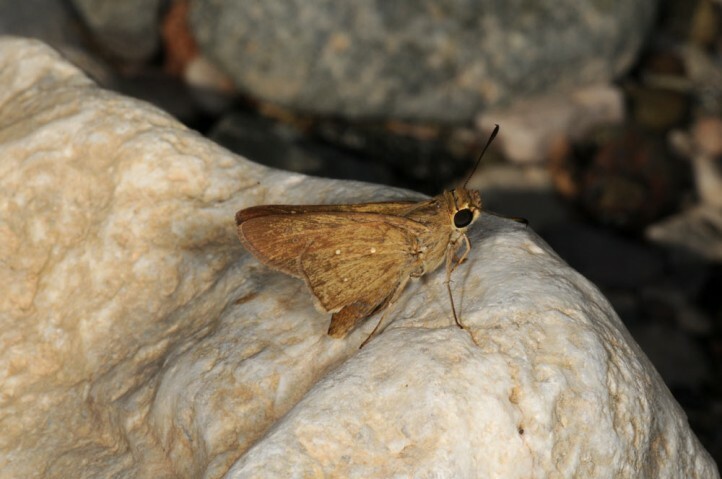 Pelopidas thrax is only slightly endangerd on the eastern Aegean islands because river beds are often a quite stable habitat there and Pelopidas thrax is very vagile. 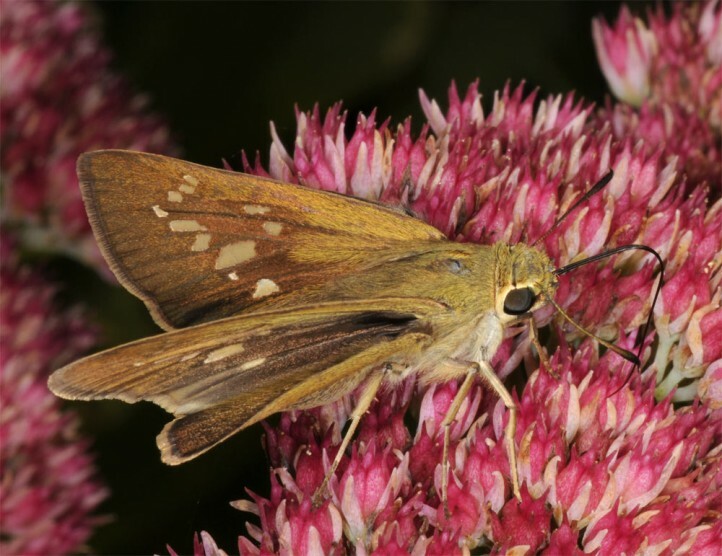 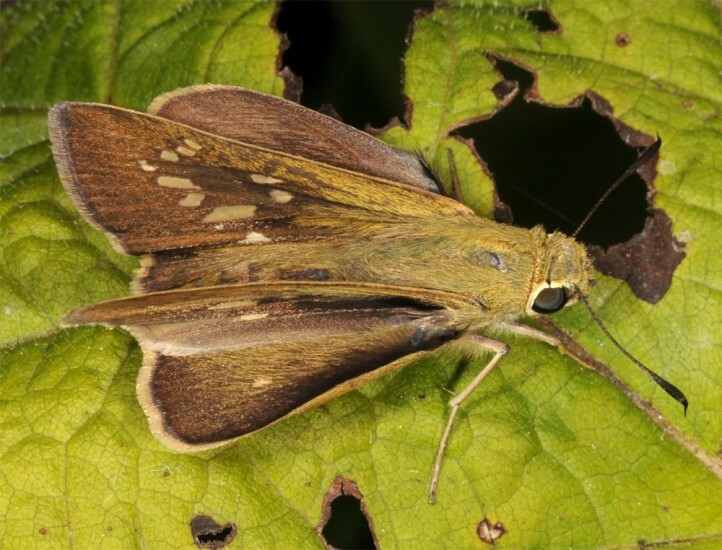 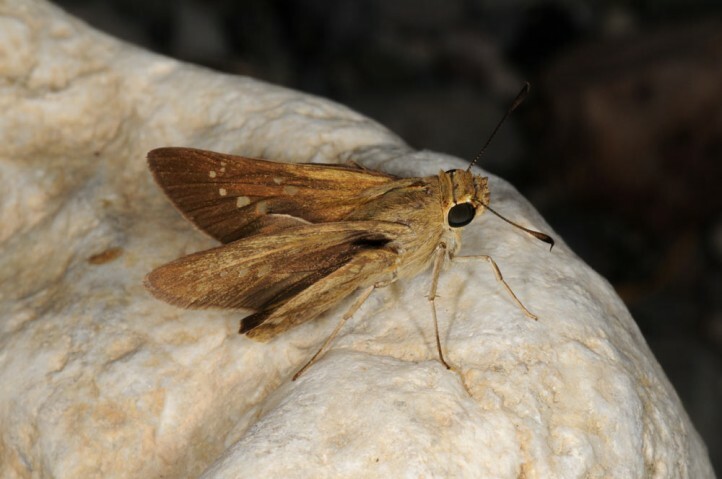 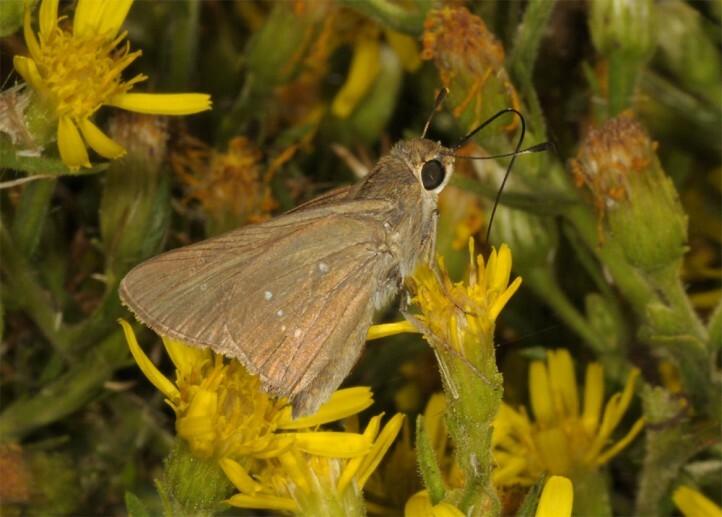 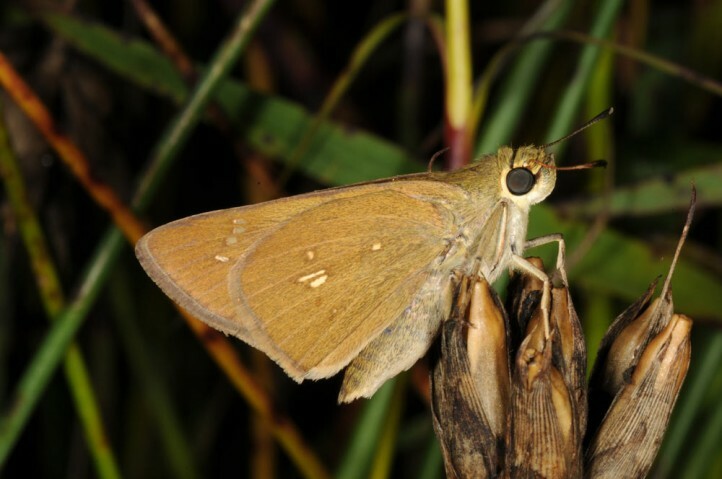 In Africa and southern Asia Pelopidas thrax is reported to be occasionally even harmful (e.g. 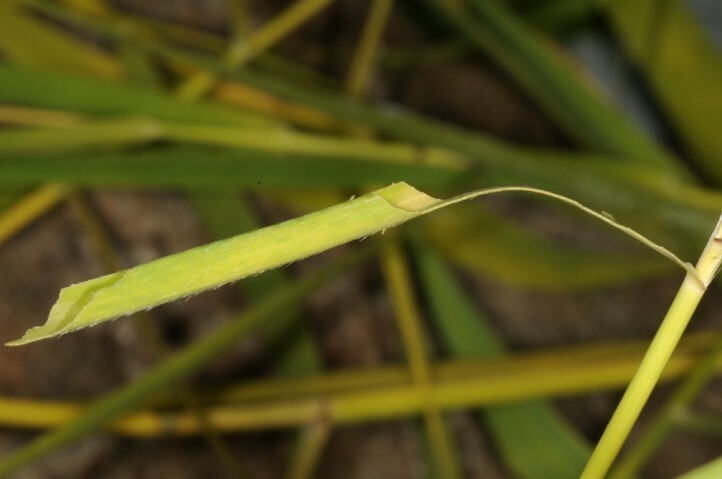 in rice fields). 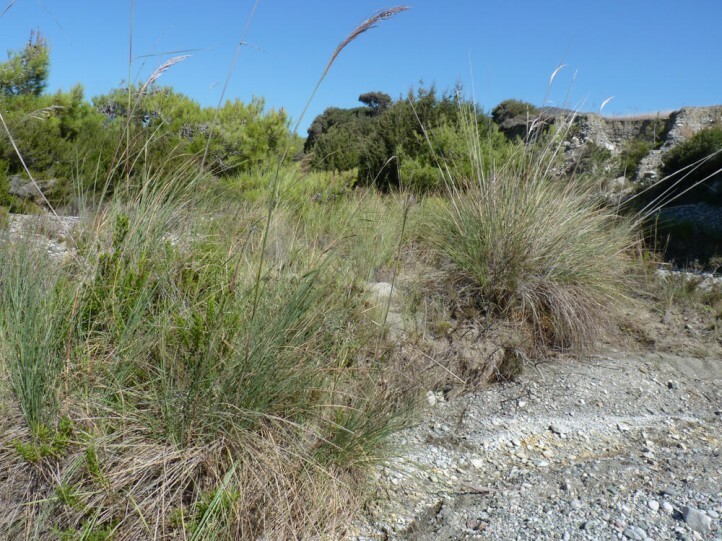 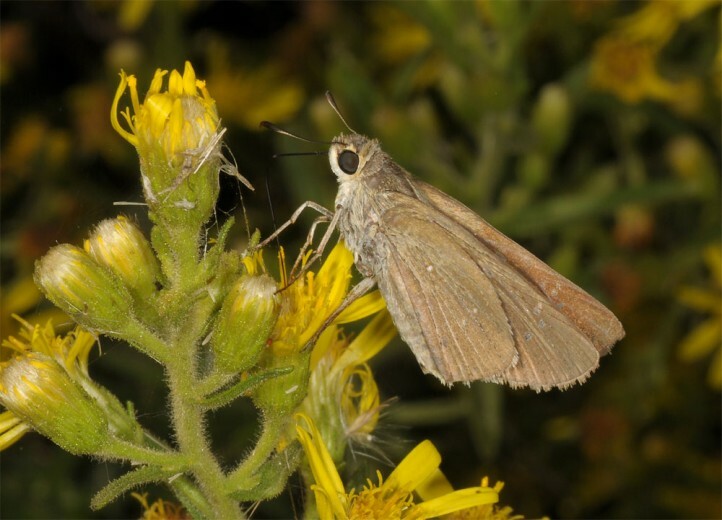 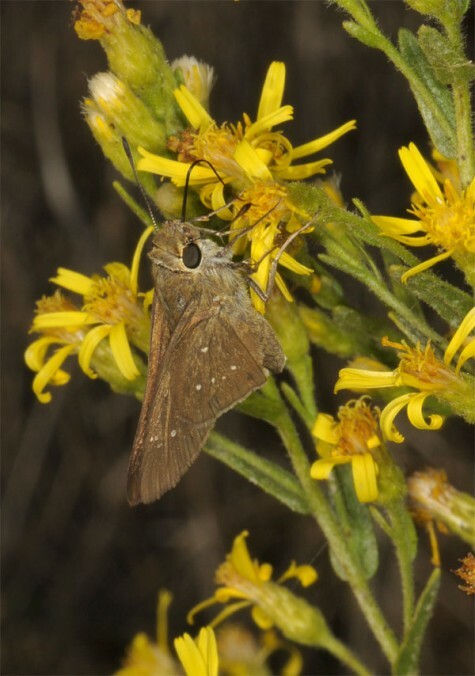 In Europe Pelopidas thrax is restricted to some eastern Aegean islands in Greece (e.g. 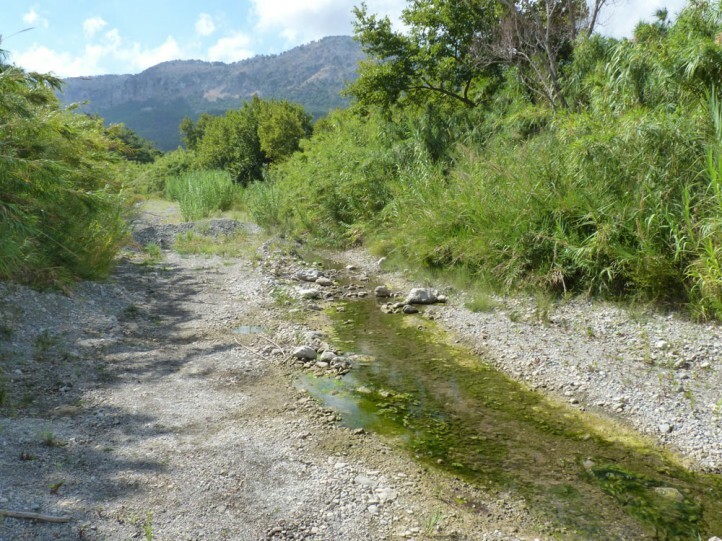 Samos, Kos, Rhodes). 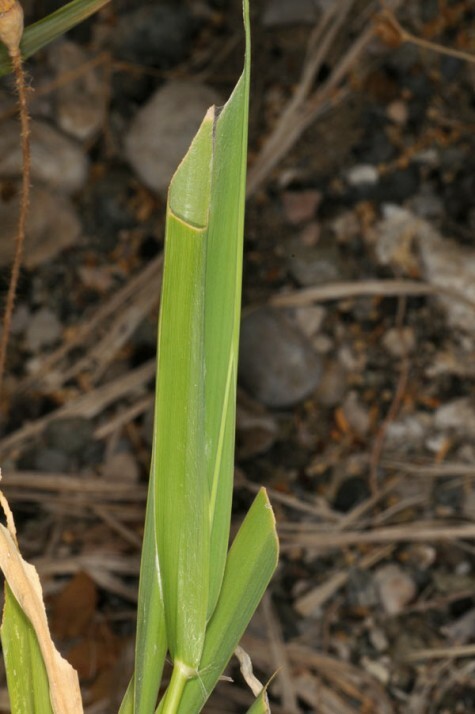 The main occurrences are located in Africa and from Asia Minor across Arabia to southeast Asia. 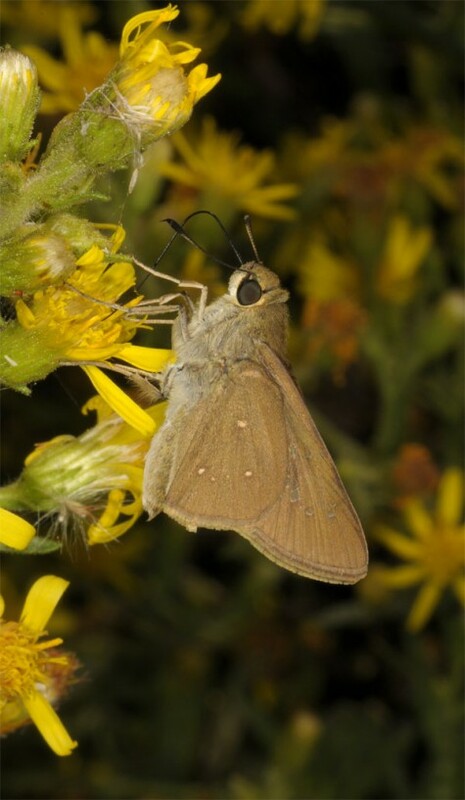 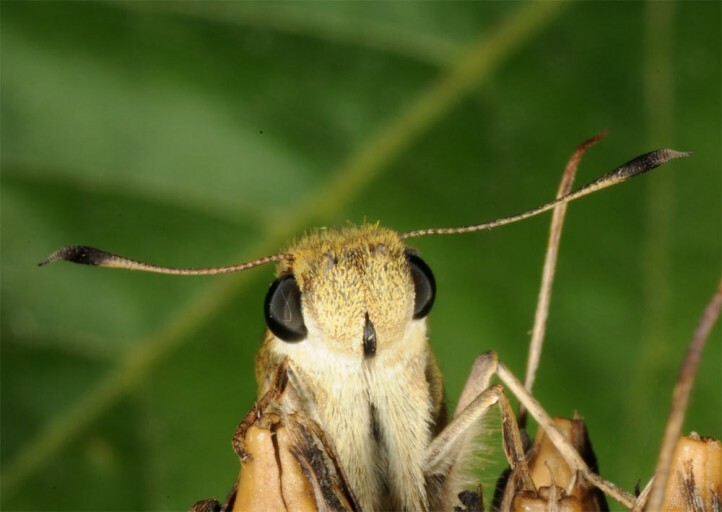 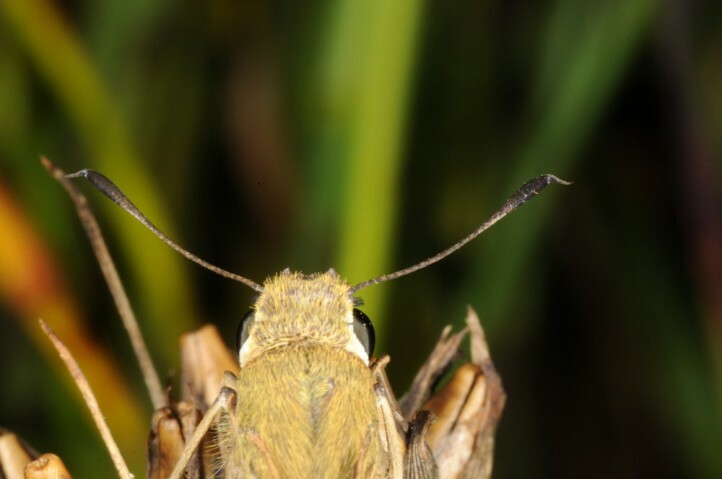 Pelopidas thrax can be separated easily from Gegenes species due to its larger size, the hooked antennae and larger white spots.